When Is It Time for an Adenoidectomy? It’s no fun having a child who doesn’t feel well, no matter what the cause or symptoms are. And while having adenoids or tonsils removed has been de rigueur for American kids for generations, how do you know when it’s time for your child to undergo this procedure? Pediatric ENT Associates (PENTA) at Children’s of Alabama in Birmingham is the state’s authority on pediatric adenoidectomy, and we know that any type of surgery, regardless of how simple or short, can be worrisome. 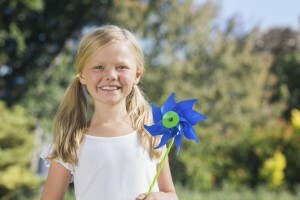 Yet, we know that if your daughter or son is enduring a sore throat, having issues breathing or sleeping, suffering from repeated ear infections and more, you’ll do what is necessary to alleviate their discomfort. With that in mind, we want to share some symptoms that may indicate your child would be a candidate for an adenoidectomy. Part of the immune system, adenoids are located at top of the throat behind the nose and the roof of the mouth. These glands sometimes swell due to protecting the body from bacteria or viruses, which can cause soreness or pain and interfere with breathing and disrupt sleep. If the issue is not addressed, a blockage of the Eustachian tube can occur, causing fluid to build up and eventually leading to repeated ear infections and temporary loss of hearing. At Pediatric ENT Associates, we assess your child as well his or her medical history and current overall health to determine the best course of action. Usually, medications are the first line of treatment, but if symptoms persist, an adenoidectomy is often required. An adenoidectomy is the removal of the adenoids, which can almost immediately make your child feel much better and breathe more easily, meaning they can sleep better, focus better, and be back to their fun, energetic selves! In many cases, a doctor may remove the tonsils along with the adenoids. The tonsils are also glands that help protect against germs. However, they sit in the back of the throat rather than behind the nose. Sometimes, both the tonsils and adenoids become swollen and infected at the same time and require treatment. The removal of both glands at the same time is known as a tonsilloadenoidectomy. Not everyone who needs an adenoidectomy will require tonsil removal and vice versa. Doctors base the decision to remove either or both of these glands on the child’s specific symptoms and medical history. Children who tend to have swelling of both the tonsils and adenoids may be good candidates for a tonsilloadenoidectomy. 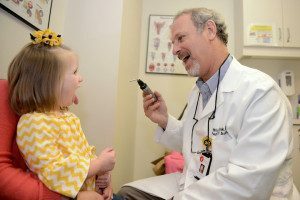 If you suspect your child is having problems with their adenoids (or tonsils), schedule an appointment with an expert ENT pediatrician at Pediatric ENT Associates in Birmingham by completing our online contact form or calling (205) 831-0101 today. Next Read, Is it Clumsiness or a Sign of Hearing Loss?